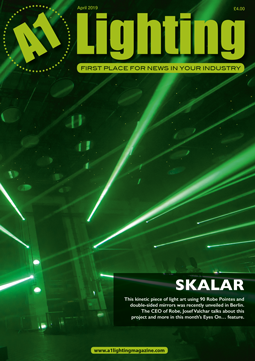 Elation Professional’s list of world premiere product launches at the upcoming Prolight + Sound show just got longer. Elation is pleased to be showing at Stand D56-58 in Hall 12.1 new luminaires in its popular Fuze™ and Paladin™ series. All new Fuze series fixtures include the Fuze Spot™, Fuze Profile™ with a full color spectrum LED engine, and Fuze Profile CW™ with Cold White LED engine, all automated LED moving heads. The Fuze Spot and Fuze Profile – designed for theater, television and a wide array of precision lighting applications – house a 92 CRI engine that utilizes a 5-color homogenized LED array of Red, Green, Blue, Mint and Amber sources. The carefully tuned LEDs ensure accurate color reproduction while delivering a powerful output of over 9,000 lumens. Virtual color temperature, magenta / green adjustment plus color gel emulation give designers access to an impressive LED color array. Compact, quiet and lightweight, both fixtures house a 7° to 46° zoom. Dual gobo wheels, animation wheel, frost, prism and iris round out their comprehensive feature sets. The Fuze Profile CW™ with Cold White LEDs and framing system is designed for trade shows, stages, television and a wide array of AV event applications. A 91 CRI 380W LED engine ensures accurate color reproduction while delivering a powerful output exceeding 12,000 lumens. Designed to illuminate objects like exhibits and banners, texture areas, and keylight persons with its flat field of light and accurate framing, it can be used anywhere a fully automated ellipsoidal fixture is required. Housing a 7° to 46° zoom, its comprehensive feature set includes a rotating gobo wheel of breakups, two color wheels featuring solid colors and correction filters plus an iris. 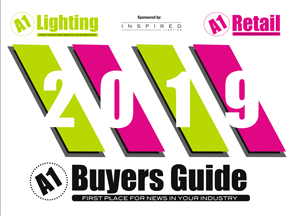 Three new fixtures in Elation’s Paladin series of versatile Blinder/Strobe/Wash lights will also be on display – the Paladin Cube™, Paladin Brick™ and Paladin Panel™ – all with IP65 protection. These compact and powerful outdoor flood lights are useful for a wide variety of applications and can flexibly be used from either a floor or truss position. Using 15W RGBW cells – 9, 24, and 50 respectively – they add vibrant and powerful color to outdoor events while individual cell control and strobe make them versatile effect lights or audience blinders. Certified to IP65 with IP rated connections and solid build quality, they eliminate any dust and water ingress worries.